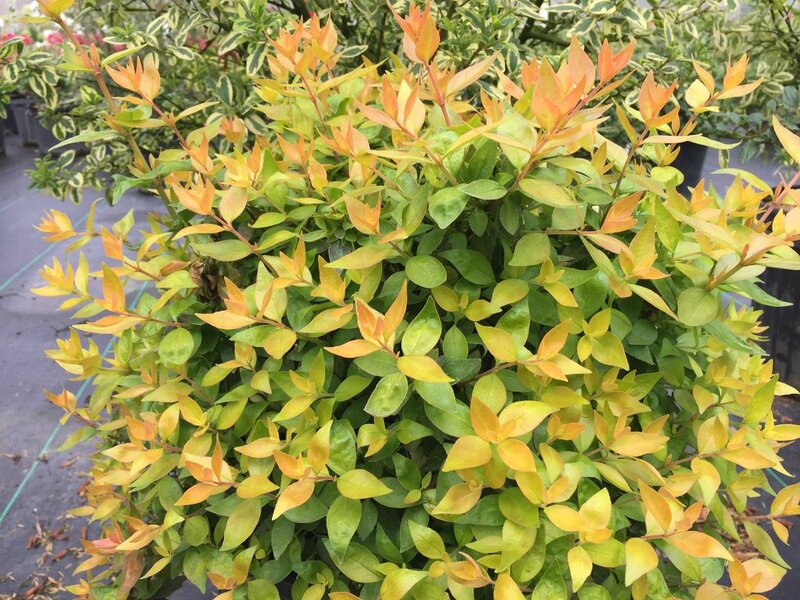 Your search for easy-care color ends here! 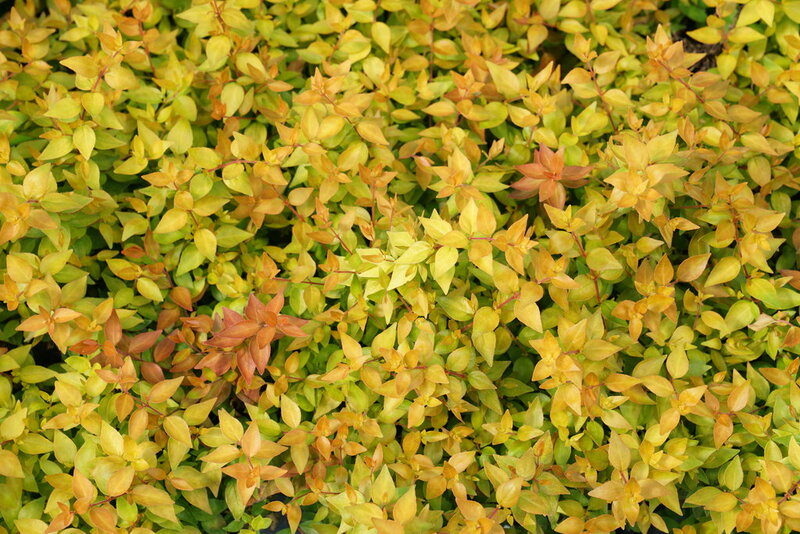 Funshine abelia quite literally outshines all others. In fact, that's how we found it: it was so much brighter than all the other abelias at the breeder's field in France that we instantly knew it was something special. 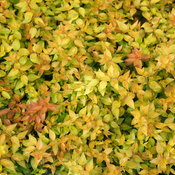 Golden foliage emerges in tons of marmalade orange and sweet caramel, so Funshine abelia never looks dull in the landscape. 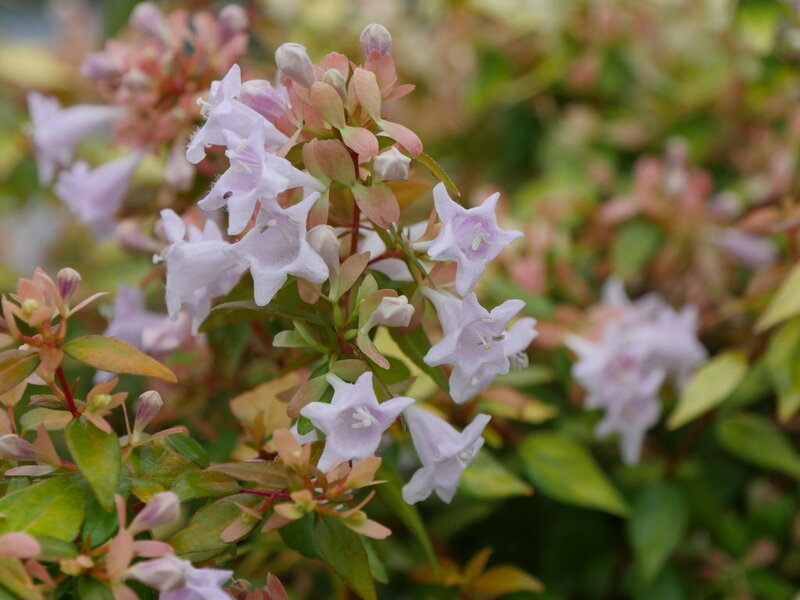 Fragrant soft purple flowers appear all summer. 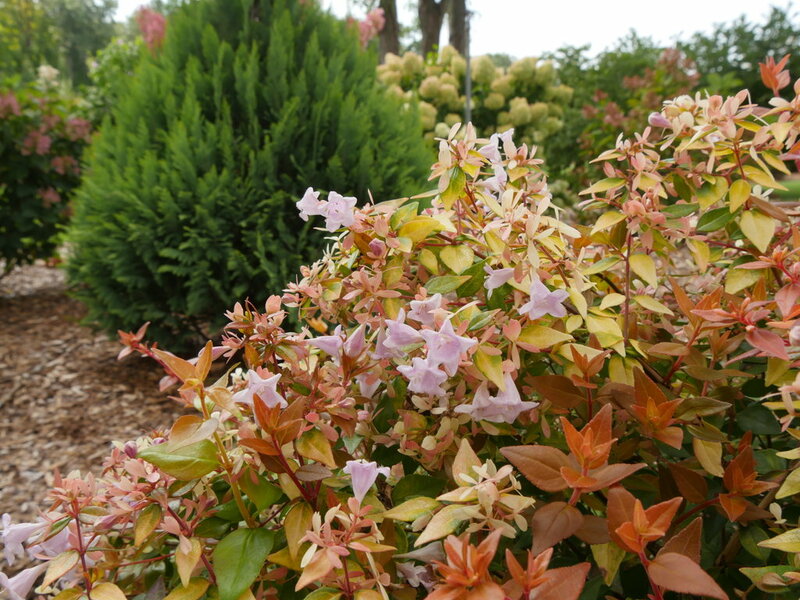 Like other abelias, it is highly deer resistant and exhibits good color and flowering even on dry, shady sites. 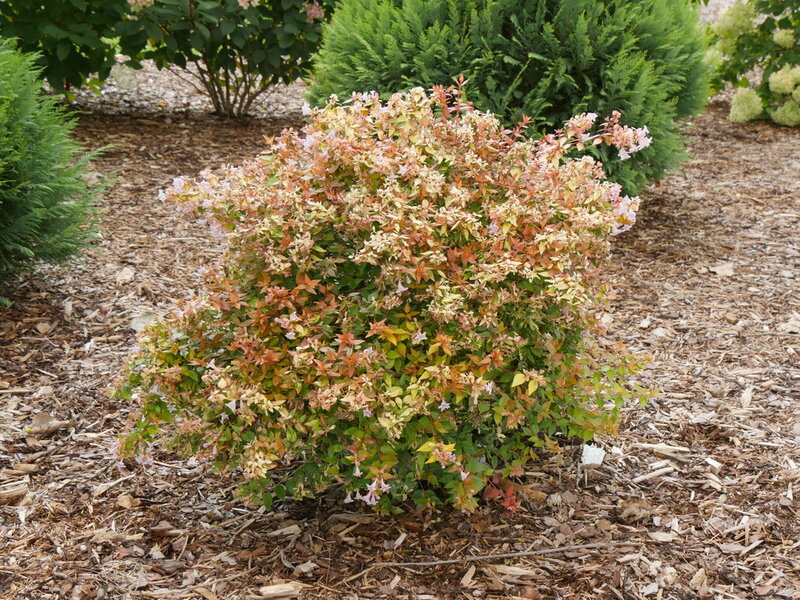 Semi-evergreen, so it keeps some foliage in winter for year-round interest. Available in better garden centers starting spring 2019. 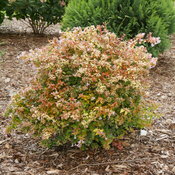 - More colorful and vibrant foliage than any other abelia, including variegated types. 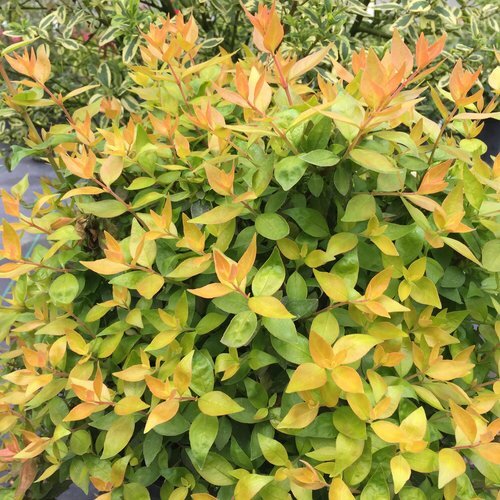 - Grows well in sun or shade. 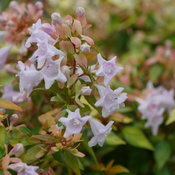 Abelia are easy care plants that need little regular maintenance. 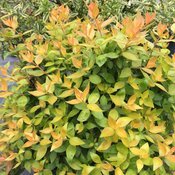 Funshine abelia rarely creates the long, errant shoots you sometimes see on other varieties, but it can be lightly trimmed to shape in spring, after the new growth begins to emerge, if you wish. 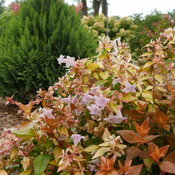 With its outstanding color and neater habit, Funshine abelia improves upon and replaces Bronze Anniversary abelia.